TLG has launched a media arm in one of the most significant examples of PR agencies moving into editorial content. The agency has set up media brand TLQ Media and a digital magazine in a move that agency boss Malcolm Gooderham calls an example of 'comms growing up'. TLQ is a quarterly app that is being branded as 'The digital magazine for Thought Leaders', providing independent articles on global business trends and issues, alongside interactive elements. The first edition's authors include MasterCard CEO Ajay Banga and Unilever CEO Paul Polman. 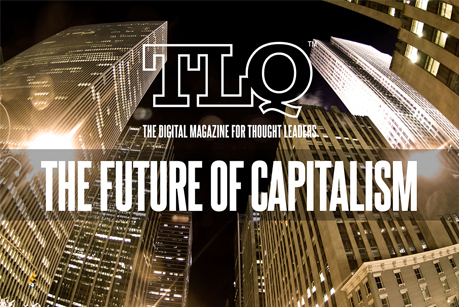 Each quarterly edition of TLQ will explore a ‘zeitgeist issue’, with the first covering ‘the future of capitalism’. Forthcoming editions will focus on ‘cities’, ‘health’, and ‘energy’. Gooderham, who likened the app to 'TED meets Harvard Business Review', explained that it has been backed by a mystery ‘angel investor’. Each issue will be funded by taking on a single corporate partner. TLG clients will be at a minimum in the app's articles, with Gooderham explaining that ‘they’re not going to have preferential treatment – we’d say that the opportunity is there for anyone to work with TLQ’. TLG has taken on seven designers to prepare the first issue but has not yet appointed an editor, something which is expected to take place in the near future. The free app is available from Apple’s App Store.